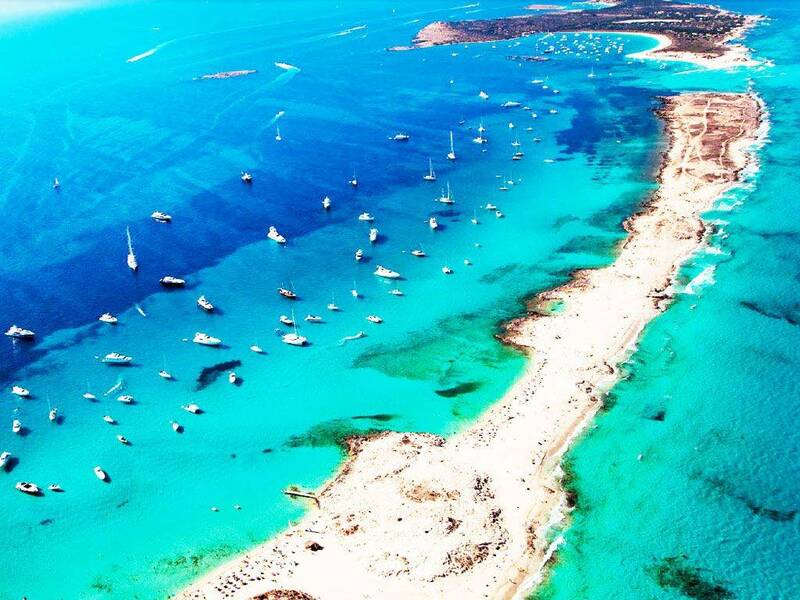 Formentera, island with a special charm – Boat and CO.
Formentera is the smallest inhabited island of the Balearics (Spain). It is placed to the south of the island of Ibiza to only 2 nautical miles of this one (approximately 3 kilometers), although the distance between the ports of Ibiza and The Savina (Formentera) is 12 miles (19,3 km). The one who knows this island, affirms it. It is an island with a special delight. Known and valued by tourism for its beaches, many times compared with those in the Caribbean. Certainly his fame does honor to the reality because the beaches of Formentera is characterized by its white and fine sand and by its clear waters and transparent, which muted the visitor with imaginable shades of blue and turquoise and whose vision provides a calm and disconnection absolute.If we visit its interior we will find small populations, lighthouses, towers and mills, lakes and salt works, caves and beautiful forests of sabinas and pines that alternate with dunes and rocks. The climate typical of the island is the typically Mediterranean one, being able to include inside the variety moderately – warm and the sub-variety native of the eastern provinces of Spain – Balearic islander: warm and slightly rainy, with more than 300 days of the sun a year. It is characterized by the presence of different species of birds, reptiles and by the existence of a varied aquatic fauna in humid and torrent areas. The island of Formentera is a perfect and ideal setting for the practice of outdoor sports, with areas such as the Pitusa Menor, with a sea bottom beautifully populated with different species of fish (flora and fauna) in its crystalline waters and high ecological value.